Matt, indeed extreme cold can affect the operation of an absorption refrigerator. There are two primary causes of temporary cooling loss. The first is caused by operating the refrigerator off level. I will discount this as being a cause in this case, as it seems too coincidental with the cold weather, but it is worth mentioning. Be sure the unit is operated only when the freezer section is level. The second is inadequate venting. 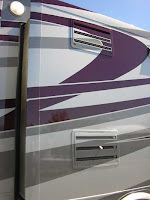 Often, cold weather, especially in your area, is accompanied by snow which can accumulate on the roof of the RV and blocks the refrigerator vent. You didn’t mention whether you had snow, but if so, the unit will definitely not operate if snow is allowed to accumulate and block the roof vent. Absorption refrigerators operate under extremely tight tolerances especially in relationship to the amount of cooling unit contents. Also the surface area of the fins and the precise amount of heat applied to the boiler is paramount. If any of the insulation around the burner tube is missing or damaged some of the heat can be lost to the colder ambient air and the heat balance will be affected; possibly resulting in not enough heat being applied directly to the generator portion of the boiler. Inspect the burner tube to make sure the insulation and the shroud are fully intact especially around the area of the 120-volt heating element. Inspect the cooling unit for dirt or other debris that may be affecting the cooling efficiency and wipe or vacuum it clean. Finally, be aware that some internal cooling unit components can reach temperatures up to 20-degrees lower than the fridge compartment temperature. If we assume a box temperature of approximately 30-degrees F., then the evaporator could reach 10 – 15 degrees F. If the outside temperature is 5-degrees F., then ice can form on the evaporator, which can reduce the efficiency enough to prevent proper cooling. If this is the cause, there is no solution and the refrigerator simply will not operate under such severe conditions.